THE Domain Page: Kudos to Sedo!! On December 5, 2007, the third and final .MOBI auction was scheduled to close on Sedo’s domain auction platform. In line with the previous two .MOBI auctions, the available domains garnered significant attention and received many competing bids in the seven days the auction ran. The domains received so much attention in the final moments that Sedo’s auction servers crashed before the completion of the auctions, rendering our system incapable of processing many validly submitted bids, including proxy bids set by user’s using the feature to automatically bid up to a maximum amount, and sending out winner notifications in error. While Sedo takes steps to ensure the stability and security of our services, the crash that occurred could not have been predicted given traffic spikes more than ten times higher than anticipated by previous high-traffic auctions. Decisions were made with the intention of protecting all parties involved, but as we have learned from investigating the crash more carefully since December 5th, the auction was compromised and as such, DotMobi has exercised its right to declare the auction results void and will conduct a new auction at Sedo.com beginning on January 23rd, 2008. Sedo will be contacting everyone who participated in the auction to inform them of this decision. Thank you, Sedo, for taking a close look at what happened at the .mobi auction and admitting that you experienced technology problems and possible auction compromise. Here's part of the problem: automatically extending an auction whenever a bid is placed in the last minutes of the event encourages bidders to try to slide in that last bid at the last possible second, knowing that their bids will reset the clock for two minutes; if a domain is highly desirable, you might get hundreds of bidders trying to place bids at the same time, all tripping over each other and stressing out the servers. I suspect that if the auction platforms set a clearly defined stop time, bidders would learn to get their bids in early--a "Snooze, you lose" approach. In any case, I believe that Sedo has done the right thing by restarting the December 5 auction at zero; I'm feeling more confident that the company where I have placed my domains is trying to do the right thing. I'm sure that there will be lots of server test runs in the next five weeks. [The rescheduled auction] is causing additional confusion for the participants in the auction, since some of them have already paid for and completed their sales. The author also was able to confirm that several buyers have already been provided with the authorization code for their purchases, enabling them to transfer the domains. Another point to note is that Sedo has chosen for the auction to coincide with the SnapNames live auction at Domainfest. I don't know - that sounds fishy. For the high commission fees they charge the servers should be able to handle 10X the normal load. This is 2007 not 1999. They should also have their auction house independently audited at their own expense to ensure the integrity of the system to bidders. That is the least they can do to save their reputation and not lose business. I suspect that the threatened lawsuit may have had something to do with decision to do over the auction. I agree that an independent audit would be ideal, but it won't happen until the domaining community demands complete auction accountabilty. Do you hear the roars of protest? Apparently, the power domainers like things the way they are. I have had good service from Sedo; they brokered a domain I sold and charged 10% commission, which is standard in the auction business. it was a simple transction (thus, no stress on their servers), but I would not have wanted to do this transaction on my own. Changes will come, but they may be glacial. There is a good article on Sahar's conceptualist.com relating to “Auction Houses to Participate in Their Own Offerings?” These domain auction houses are dropping the ball on the rest of us. Many in the outside public are wondering if the prices paid at these auctions really justify the worth of these names. 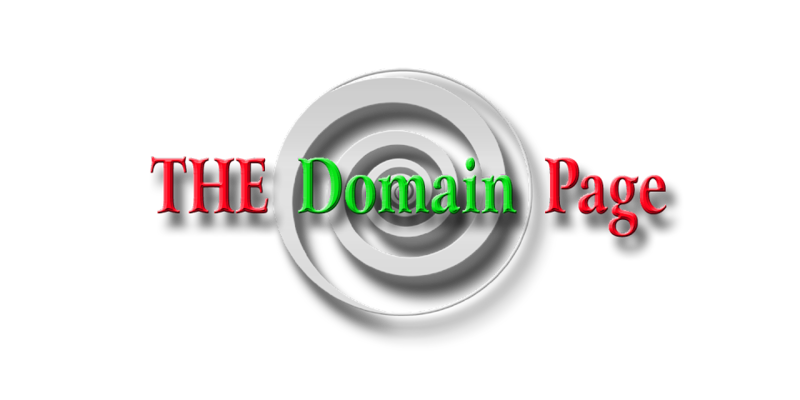 It is starting to "appear" that domain names are being hyped by a "market within a market". We all know that perception is everything and these auction houses have to manage themselves professionally and across the board. This is starting to look like business is being done under the table.